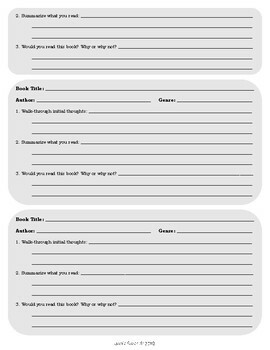 So it's the beginning of the year and you are interested in trying out all those awesome Pinterest book tasting or book pass ideas but you need a resource for your students to keep track of the books they preview with in-depth initial responses? Look no further! 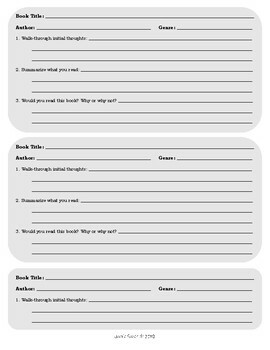 Download this book pass log to accompany any book tasting you have planned for your classroom. 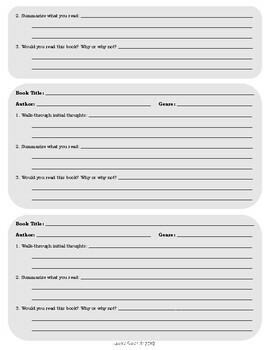 With this document students will report the essentials (book title, author, etc.) as well as jot their initial responses and explain why they would or would not read that text this school year. 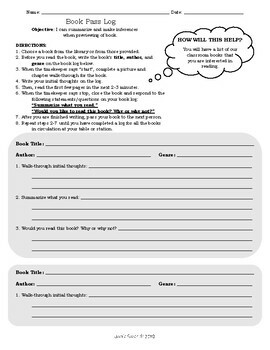 *Please note: All materials and intellectual ideas presented in this document are the property of Jamie Sauer from the "Sweet and Sauer Teacher" page. These documents may be photocopied for classroom use only after individual purchase. Editing and selling of this document is prohibited.